Transaction Capital is a JSE-listed non-deposit taking financial services group comprising two distinct divisions that operate in highly specialised and under-served market segments. Transaction Capital owns businesses that operate in highly specialised, under-served segments of the South African and Australian financial services markets. Its divisions, SA Taxi and Transaction Capital Risk Services (TCRS), are diversified and scalable business platforms that leverage their specialised expertise, proprietary data and technology to create value for customers. Positioned deliberately in relation to socio-economic dynamics, both are highly defensive businesses able to deliver good commercial returns and positive social impact in different economic conditions. Each of them has an entrepreneurial, innovative and experienced management team, and operates according to a mature governance framework. Mission: Providing specialised financial and allied services in highly specialised and underserved segments of the financial services sector. Investment case: Executing on Transaction Capital’s mission creates a compelling and unique investment case. Transaction Capital is positioned in attractive market segments with specialised capabilities that enable a deep understanding of its chosen markets and a bespoke and robust capital structure generating appropriate risk-adjusted returns. Transaction Capital is led by skilled and experienced management teams and underpinned by a robust governance framework and sound governance practices which together position it for sustainable growth and the delivery of a meaningful social impact. CLIENTS will regard Transaction Capital’s businesses as their first choice when utilising the cost-effective, specialised, innovative and differentiated services they provide, while acknowledging the group’s expertise, value and market reputation. Improving and growing customer value propositions through deeper vertical integration within chosen market segments. Ongoing client engagement identifies risks and opportunities which feeds back into improving customer value propositions. Applying specialised competencies, operational capacity, experience and capital to meeting client needs strengthens Transaction Capital’s reputation and market leadership. EMPLOYEES will regard Transaction Capital and its businesses as leading employers in financial services, providing personal development, advancement and highly competitive compensation in exchange for commitment and performance. Appropriate employee value propositions implemented in each business. Providing work that is meaningful with direct societal impact. Competitive remuneration policies, with select employees participating in the Transaction Capital share appreciation rights plan. LAW MAKERS AND REGULATORS will regard Transaction Capital and its businesses as approachable, transparent and societally relevant corporate citizens that comply fully with the letter and spirit of all laws, regulations and codes. Centralised legal function with appropriate expertise at divisional level to closely monitor regulatory developments. Ongoing engagement with regulators and appropriate representation on industry bodies, to gain early understanding of proposed legislation and appropriately positioning Transaction Capital for change. EXECUTIVES AND MANAGERS will regard Transaction Capital’s strategy of empowering executives and devolving responsibility as intellectually stimulating and intrinsically rewarding, while demanding high quality and thought leadership. Diligent adherence to recruitment, assessment, development and succession policies. Compensation aligned to both the specific performance of each business as well as group performance. Development of operational functions and accountability for performance to divisional executives is ongoing. Executive and senior manager participation in the Transaction Capital share appreciation rights plan. SOCIETY will regard Transaction Capital and its businesses as responsible, caring and societally relevant corporate citizens which contribute to the wellbeing of their communities. Positioning customer value propositions to enhance societal good. Continued corporate social investment to reduce societal inequity. FUNDERS will regard Transaction Capital and its businesses as financially stable counterparties that exemplify the highest standards of risk management, transparency, disclosure, prudence, innovation, compliance, governance and ethics. Further diversifying investor base through new funding structures and channels through which to invest. Intentional positioning of businesses to maintain defensible positions under challenging economic conditions through effective risk management and mitigation, as evidenced by stable and improved credit ratings. Enhancing funder relationships through ongoing engagement, informal feedback and formally researched funder needs. SHAREHOLDERS will regard Transaction Capital and its businesses as well understood, respected, transparent and ethical specialised financial services investments that render consistent growth in high quality risk-adjusted returns through innovative entrepreneurship, exceptional risk management and prudence. Maintaining stable earnings and book growth, while rationing capital for credit quality. Devolvement of certain functions to businesses resulting in cost efficiencies and reductions. Continual focus on developing and augmenting the specialist competencies of the divisions. Enhancing investor relationships through ongoing engagement, informal feedback and formally researched shareholder needs. SUPPLIERS will regard Transaction Capital and its businesses as demanding but fair clients whose expertise, interpersonal skills, efficient administration, financial stability and long-term orientation make them desirable business partners. Ensuring appropriate executive-level interface with providers of goods, services and professional counsel in all businesses. Enhancing the ability to design and implement products and controlling the allocation of capital through supplier engagement (mainly in the insurance business within asset-backed lending) thereby enhancing the customer value proposition. Transaction Capital's values provide the foundation for effective leadership and are the basis for all deliberations, desicions and actions from board level to every area of the business. While Transaction Capital and its businesses subscribe to a single set of core values, the group remains mindful of the benefits of diversity in business culture among its constituent businesses. We value EXCELLENCE as the foundation to develop our people and celebrate success. Excellence means that we always strive to achieve more and surpass expectations with confidence. Individuals should take the time to improve themselves both personally and professionally. Respect means that we treat everyone we meet in the same way that we would like to be treated. It requires an understanding and appreciation of diversity, and is especially important given South Africa’s history of discrimination..
Transaction Capital's strategy is to drive organic growth in each division through deep vertical integration within core and adjacent market segments. As SA Taxi and TCRS gain deeper insight into their respective sectors, underpinned by a maturing understanding of their social relevance, they are able to identify and create more value for all stakeholders. Target quality assets operating within Transaction Capital’s focused market segments that will enhance its capabilities, and whose business models and value can be enhanced through active management. A stockbroker by training, Phumzile is executive chairman of Afropulse Group Proprietary Limited and non-executive chairman of both the Mineworkers Investment Company Proprietary Limited and Primedia Holdings Proprietary Limited. In April 2018, Phumzile was appointed by the President of the Republic of South Africa, Cyril Ramaphosa, as one of four Special Investment Envoys tasked with raising USD100 billion over a five year period. 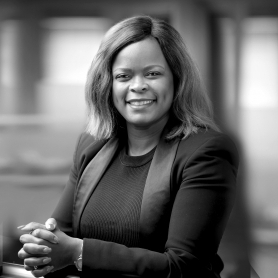 Phumzile also serves as an independent nonexecutive director on a number of JSE-listed companies, including Massmart Holdings Limited, Imperial Holdings Limited and Redefine Properties Limited. Phumzile previously served as an economic advisor to the former Minister of Minerals and Energy. Diane was a partner at PricewaterhouseCoopers, where she led the Transaction Services Group that advised on local and international listings and corporate transactions. In 2001, she joined Allied Electronics Corporation Limited as their CFO and was also appointed as a non-executive director at Allied Technologies Limited (Altech), Bytes Technology Group Limited, Omnia Holdings Limited and Women Investment Portfolio Holdings Limited (Wiphold). 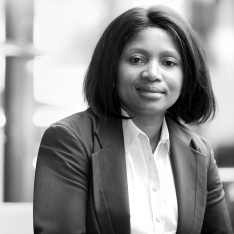 In 2008, Diane served as Old Mutual South Africa’s group finance director and in 2010 was appointed as Old Mutual Investment Group’s CEO until the end of 2016. 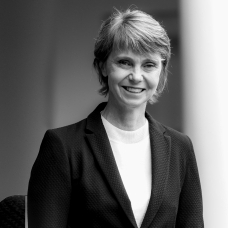 Diane is currently a non-executive director of JSE-listed Murray and Roberts Holdings Limited and Australian Securities Exchange-listed Base Resources Limited, and serves as a trustee on the DG Murray Trust, a public innovator committed to developing South Africa’s potential through strategic investment. 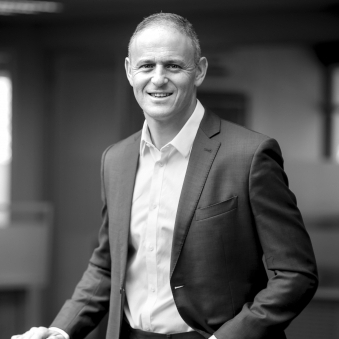 Paul is a qualified corporate lawyer who built his career at the international law firm Berwin Leighton Paisner LLP, where he became a senior partner and led the capital markets team for a number of years. During his 25-year legal career, he built an international corporate practice and executed numerous equity capital market transactions and merger and acquisition deals, with a particular focus on the real estate, financial services and technology sectors. Paul is the CEO of Everglen Capital Proprietary Limited (formerly JMR Holdings Proprietary Limited) and a nonexecutive director of Stenprop Limited, which is listed on the JSE Limited and the London Stock Exchange. He is also a consultant to Bryan Cave Leighton Paisner LLP. In 2005, David joined Transaction Capital’s founding shareholders to acquire African Bank’s Commercial Vehicle Finance division (now SA Taxi). 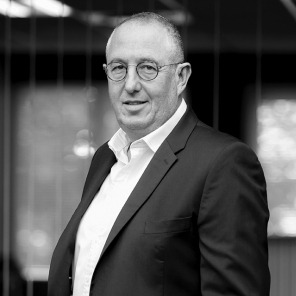 Shortly thereafter Transaction Capital was formed, where David established and led the capital markets team for five years and then served as the CFO of SA Taxi for 18 months. 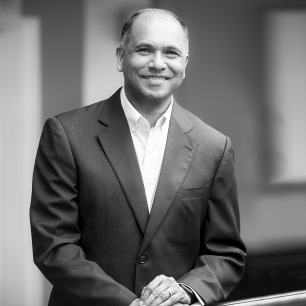 He was appointed to Transaction Capital’s main board as group chief risk officer in April 2012 and thereafter served as the group chief financial officer (CFO). 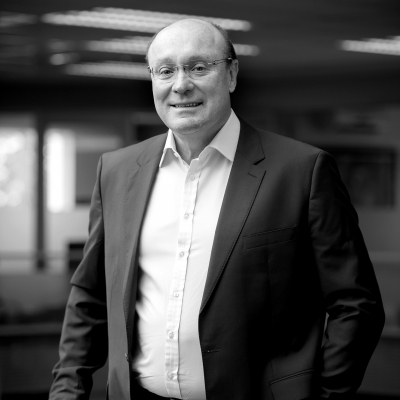 In January 2014, David was appointed as the group CEO of Transaction Capital Limited. David is a chartered accountant, having served his articles at Grant Thornton, Johannesburg. He has been active in debt capital markets since 1997, holding employment at a specialist structured finance organisation and a large local bank. 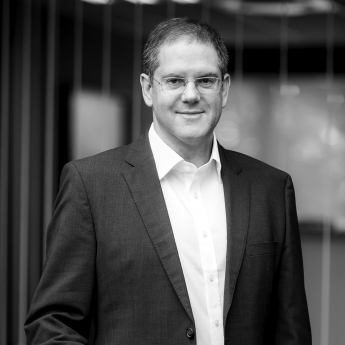 Mark served his articles at Deloitte & Touche in Johannesburg. After staying on as a manager until 2001, he joined Rand Merchant Bank as a corporate bond investment analyst in the special projects international division. In 2007, Mark joined Transaction Capital and was involved in various acquisitions for the group. He joined the capital markets division in 2009 and led the team from June 2010, where he remained until his appointment in January 2014 as group CFO. 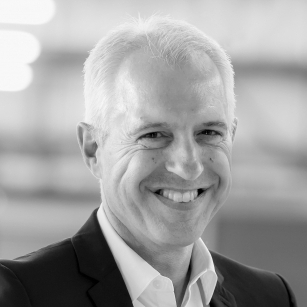 In August 2016, Mark was appointed to the role of capital management director, with primary responsibility for SA Taxi and the group’s capital management strategy and activities. 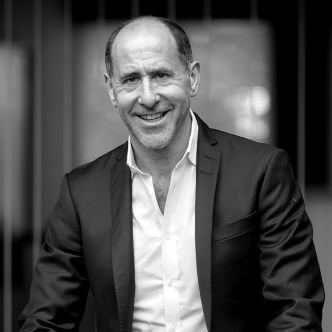 Ronen served his articles at PricewaterhouseCoopers in Johannesburg, and held positions at KPMG and Standard Bank. 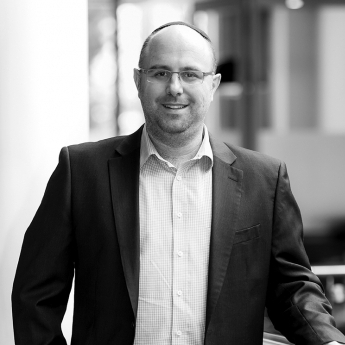 Ronen joined Transaction Capital in 2012 and has been involved in all aspects of the group executive office, including tax, company secretarial, remuneration and group finance. 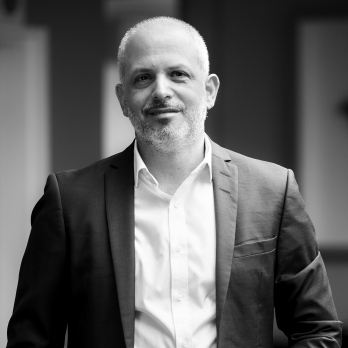 With effect from 1 December 2014, Ronen was appointed as the group’s company secretary, overseeing the company’s secretarial function and corporate governance structures. In August 2016, Ronen was appointed as financial director with responsibility for the group’s finance and accounting functions.